Branded Travel mugs are certainly very popular right now with no sign of slowing down. We all feel we should do our bit to reduce the single use disposable cups when grabbing your favourite hot beverage whilst out and about. 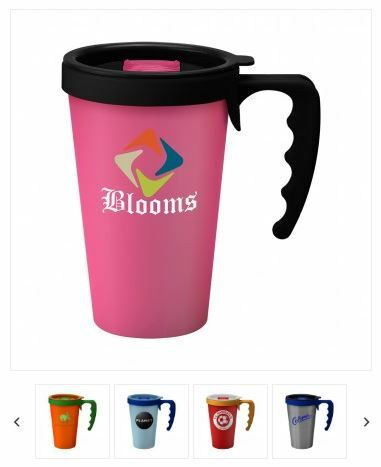 The Universal Travel Mug Tumbler is a really versatile mug which can be used for hot and cold drinks so great for all year round use. 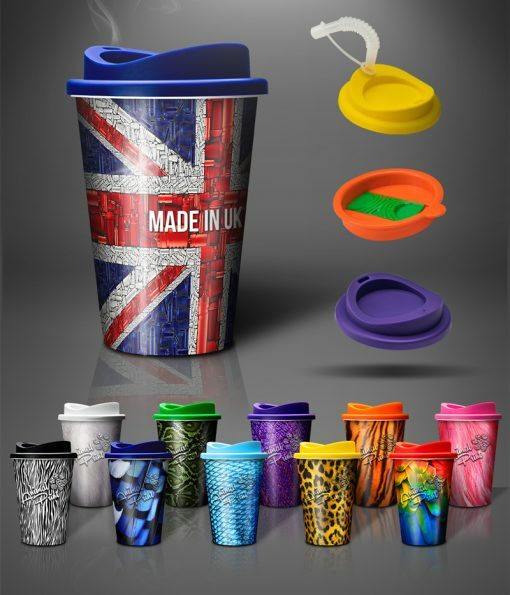 Made in the UK from fully recyclable plastics. You can pop it into your kerbside recycling once it reaches its life end, knowing that you are doing your bit for the planet. 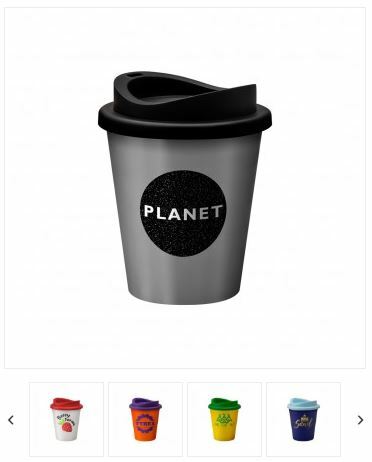 There are many options for branding your logo on these reusable travel mugs. From spot colours to full colour printing, both options available to the entire outer surface which creates a truly eye catching brand. There is also 3 different lid styles to choose from to cater: hot, cold or hot and cold drinks. There is also a large selection of stock colours where you can mix and match the body and lid to match your company colours. These travel mugs are dishwasher safe and you can also pop them in the microwave. In addition to affordability, these are a consistent all round winner for us who just love our tea and coffee! The Universal Travel Mug can also come with a handle and in a vending size too. Power Banks/Mobile Chargers – How Much mAh Do I Need?